It's Thanksgiving week! Before you chow down on all that yummy turkey this Thursday, we here at DC Universe want to give thanks to you, the fans. First up, we've got a curated selection of family-oriented comics for you to read and enjoy. Think your own family has some awkward reunions? Find our what happens when the Justice League and Justice Society sit down for Thanksgiving together! We've also got a new "Thanksgiving Feast" sweepstakes, offereing a delicious serving of three Omnibus collections from the one and only Geoff Johns. 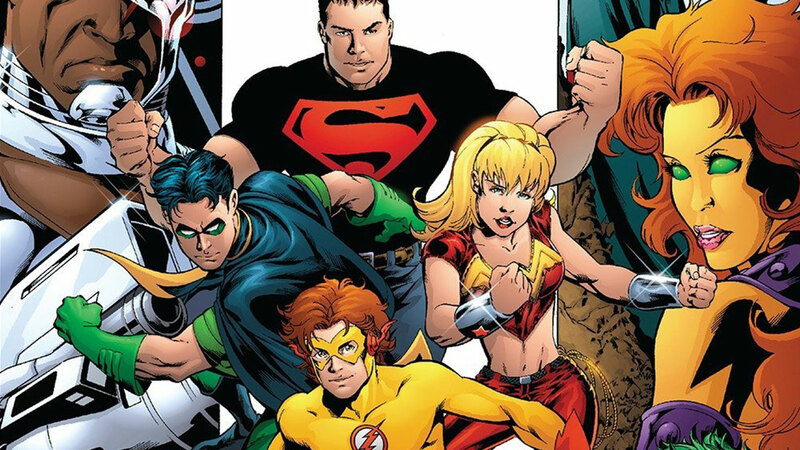 These amazing hardcover editions collect Johns' classic runs on Teen Titans (pictured above), Infinite Crisis, and Brightest Day. The winner will be busy reading great stories from Turkey Day straight through to the New Year! You can enter this giveaway now through this Friday, November 23rd. Then, as soon as that sweepstakes names its winner, it'll be time for another cool sweeps on November 23rd -- this time celebrating the original Wonder Girl herself, Donna Troy! One fan will have the opportunity to win a prize package celebrating the Titans' Amazing Amazon; including the Silver Age Teen Titans Vol 1 and 2 trade paperbacks, the New Teen Titans "Who is Donna Troy?" trade paperback, and the seminal classic Titans story The New Teen Titans: The Judas Contract in hardcover. Finally, we'll have a new poll for fans to take part in starting Wednesday, November 21st, timed perfectly for the Thanksgiving holiday: “Who Is the Best Chef in the DC Universe?” Does Alfred Pennyworth deliver the finest culinary delights? Martha Kent? Negative Man? Ma Hunkel?! Let your voice be heard! Are you celebrating your Thanksgiving with DC comics, TV shows, or movies? Let us know in our Community!